Apple cider vinegar is a vinegar made by fermented apple juice, it is used in marinades, salad dressings, food preservatives, vinaigrettes, and chutneys. It is made by crushing apples and squeezing the juice out of it. Then few useful bacterias and yeast are added to the liquid to start the process called alcoholic fermentation in which the sugars are turned into the alcohol. In the second step of fermentation, the acetic acid-forming bacteria (Acetobacter species) converts the alcohol into vinegar. Apple cider vinegar gets its sour taste because of Acetic acid and Malic Acid. ASV have no nutritional values, rather than some calories, with all the nutrients at a negligible level. Apple cider vinegar has been used in various traditional medicines like Ayurveda over centuries. From the 1970s, it has been promoted with a number of health claims, including that it can aid weight loss and prevent infection. No claims of benefit are supported by good evidence, and medicinal consumption of apple cider vinegar may be harmful, mainly if consumed during pregnancy or taken chronically. Acetic acid in vinegar appears to block enzymes that help you digest starch, resulting in a smaller blood sugar response after starchy meals such as pasta or bread. 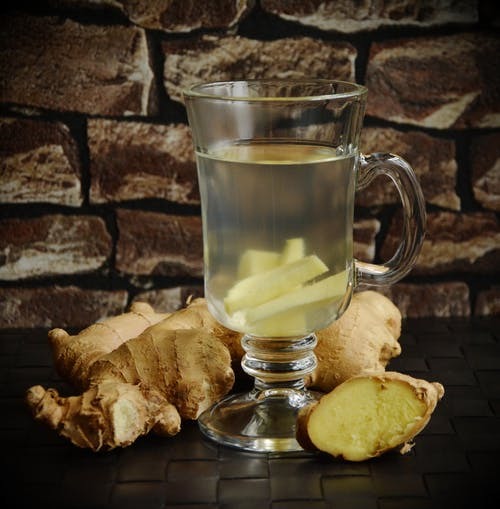 In a report which published in 2017, showed that intake of Apple Cider Vinegar with a meal helps to reduce the fluctuations in blood sugar levels and insulin after the meal. To add apple cider vinegar in your meals, try adding its splash to salads, vinaigrettes, marinades, and sauces. If you are suffering from diabetes or prediabetes, make sure to consult your doctor if you’re considering using amounts larger those normally found in cooking. 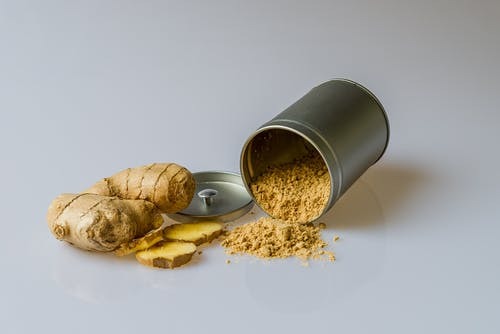 Vinegar can react negatively with diabetes medication, and it should not be used by the person with few health conditions, like gastroparesis. Proponents have claimed that consuming vinegar before or with a meal may have a satiating effect which gives the sense of fullness. A Japanese study which inspected the impacts of daily vinegar intake on body fat in adults who were suffering from obesity. At the end of the study of 12 weeks, participants who had consumed vinegar had a very modest 1 to 2-pound reduction in body weight. Body mass index (BMI), triglycerides, waist circumference, and visceral fat were also found decreased. More deep studies are needed to understand the connection between weight and vinegar. People try to consume more amount of vinegar than normal when using it for weight loss purposes, and some people taking it in tablet or capsule form. However, there is a risk that pills can harm the gastrointestinal tract. According to a report, let's suppose, a woman consumed an ACV tablet lodged in her throat for 30 minutes and developed tenderness and pain in the throat area and find difficulty in swallowing which lasted for six months. Apple Cider Vinegar helps in reducing dandruff. For using it for dandruff, some people reported that spraying an apple cider vinegar and water solution onto the scalp fights persistent flakes, irritation, and itchiness in scalp. Vinegar’s acetic acid may change the scalp’s pH level and makes it harder for yeast—one of the main reason for dandruff to flourish. The spray should be kept from 15-20 minutes and then wash it away. For better results, this process should be performed only once or twice a week. When spraying ASV on hair or washing out it, be careful of getting apple cider vinegar in your ears or eyes. It should be diluted and used in small amounts. you can also use eye protection. If you have coloured your hair, then you must consult your color technician because it may affect your color. It also relieves in bug bites and their painful stings If you have jellyfish stings, mosquito bites, or poison ivy. 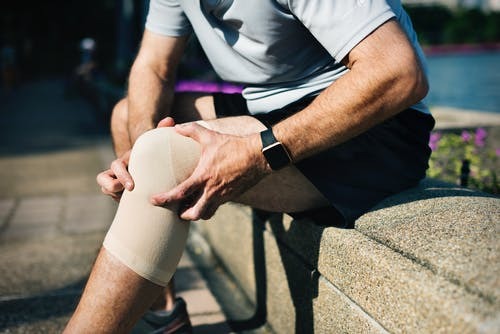 Dilute the apple cider vinegar and apply on the bites and stings as it reduces the pain itching and irritation. Apple Cider Vinegar also helps in relieving sun burns. While the common recommendations for a mild sunburn is a cool water compress, cool bath, aloe vera gel, or a moisturizer. But Apple Cider Vinegar can also be used for this. Add ASV to a cool bath or mix it with cool water and lightly spray it on affected areas (try to avoid the face) to relieve discomfort and pain. Apple cider vinegar should not be applied without diluting it or in strong concentrations to the skin, always add it in a good amount of water to dilute it properly as the acidity of asv can further injure the skin. It also shouldn’t be used for severe burn wounds. Always consult your health care provider for help to determine the severity of your sunburn. Apple cider vinegar is one of the best home remedies for curing acne and pimples. Apply diluted apple cider vinegar on the pimples as it dries out them and finishes them. But it always should be diluted before applying to the face because it can cause skin injury or chemical burns. The concentration of acetic acid in apple cider vinegar differs widely and there are no standards of it, so it is hard to judge that how much to dilute it to be safe as a skin toner or for various purposes. So I will give you the Amazon link of best asv out there in the market which will not harm and useful information will be there on the box. Some people claims that Apple Cider Vinegar Drink and gargles increase the pain of a sore throat. But there are few recipes that can be used for treating sore throat. A teaspoon of apple cider vinegar, a small pinch of cayenne pepper and a teaspoon of honey, stirred in a cup of warm water should be taken. Although some people also claims that apple cider vinegar have many germ-fighting properties and capsaicin in hot peppers increases the pain, there is not any research on apple cider vinegar’s ability to fight sore throats. Some recommend a stronger solution or even taking one spoonful of apple cider vinegar for a sore throat, however, the acidity may cause irritation in mouth and throat or chemical burns. Apple cider vinegar is said to relieve some types of heartburns, acid reflux, and few digestive conditions like diarrhea and constipation. For heartburn, apple cider vinegar works well because it is acidic in nature, and a less amount of stomach acid is the reason which triggers heartburn symptoms in some people. Still, it is said that acidic food should not be involved in heartburn diet, so you should consult with your health care doctor before adding acidic foods to your diet. You should always take asv with meal diluted in one cup of water. To cure the hiccups, consume one teaspoon of sugar with few drops of asv added to it. The sugar’s grainy texture and the vinegar’s sour taste help to trigger the nerves in the throat and mouth responsible for controlling the hiccup reflex. If you encounter hiccups on a regular basis, be sure to consult with your doctor. You should not regularly rely on added sugar in your diet to get cure hiccups. Hiccups also can be a sign of an underlying condition, like a hiatal hernia or a GERD. It helps to remove the bad odor of feet in control, apple cider vinegar helps in balancing the skin’s pH level and fight the bacteria of foot odor. To remove bad odor mix a bit of apple cider vinegar with water. Baby wipes, small towels, cotton balls or pads, or cotton rags can be used to dip in the solution and use it to wipe the bottom of the feet. Although you will notice a vinegar scent, this scent vanishes when the vinegar solution dries out. Avoid wearing the shoes which are made up of materials like leather because they can be damaged by the acidity. An apple cider vinegar solution also help to neutralize odor-causing armpit bacteria. Lightly spit cotton pads or cotton rags into weak vinegar solution and apply firmly on the armpits. The bad odor of vinegar vanishes after the solution has dried up. Almonds also contains Potassium, Iron, Calcium and Zinc. 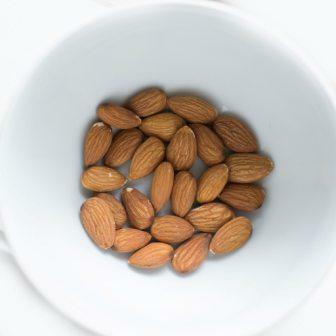 One fourth cup of almonds contains only 205 calories. Almonds also contains monounsaturated fats which is one of the best fat for our health. Almonds are a good source of monounsaturated fats and polyunsaturated fats which helps in lowering bad cholesterol in body and consumption of almonds on regular basis helps to raise the “good” cholesterol levels. Studies have shown that almonds have the ability to decrease the after-meal escalation in blood sugar and hence almonds helps in lowering blood sugar levels and protects from diabetes. This is because almonds have a very low glycemic index which do not let your blood sugar levels go up instantly. Almonds are the best combination of good quality fats (MUFA) and contains very less carbohydrates. It is a good source of fiber, So they also helps in slow digestion and maintains the blood sugar levels. Having very low amount of magnesium will result that the pancreas will not secrete enough insulin to control our blood sugar levels. Almonds improve the insulin response so reducing insulin resistance. So, eat a small bowl of almonds and enjoy it daily. 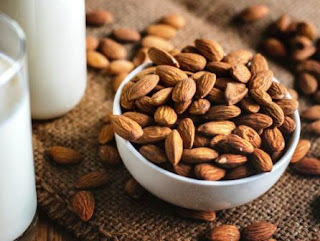 Almonds are rich in Manganese, copper, and Riboflavin, all of which helps in energy manufacturing, that is why energy giving food bars are always filled with almonds. Studies have shown that almonds contain those nutrients which improves the brain function. Eating 5 almonds soaked in water daily increases the focus and concentratin of brain. Almonds are very good source of nutrients such as Calcium and Phosphorus, which avert osteoporosis and increases the strength of the bones and teeth. Main cause of anemia is lack of oxygen in red blood cells. Due to which our body becomes very weak. Almonds contains iron, copper, and vitamins which acts as a catalyst in the synthesis of hemoglobin. Therefore, it is used in therapy for anemia. As almonds contains fiber and MUFA, so it helps to get good results to a person who is on weight loss diet plan. It controls the apetite because almonds keeps you satisfied for a longer period of time. While containing high amount of calories it does not cause weight gain when taken in less amount. Various studies have shown that consuming almonds on regular basis makes the body healthier and reduces the chances of obesity. So we can say that almonds are the best choice for weight loss. Almonds helps in improving heart health becuase they are very good source of MUFA. It also contains Vitamin E, which is an antioxidant which averts the accumulation of plaque in arteries. Almonds contains monosaturated fats and polysaturated fats which are good for heart health. Almonds also contains phosphorous which helps in maintaining heart rate. Almonds are rich in Vitamin E which increases the flexibility and moisture of skin. By keeping the skin healthy, it makes us look younger and feel good. It also helps in treating sun burn. 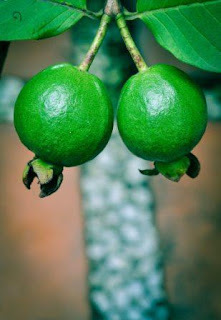 Being a powerful antioxidant, it reduces damage to the hair and make them shiny and silky. These were the benefits of almonds. Hope this article helped you. Follow us to get notified about our new articles. 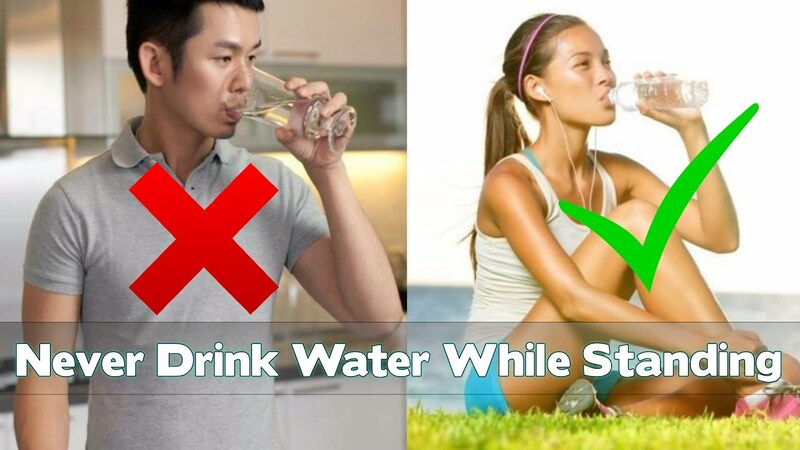 5 Reason you are drinking water wrong way your entire life click to know why??? 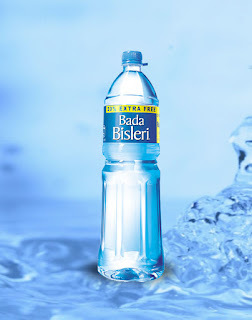 2/3 of our body is made up of water so for the proper functioning of the organs adequate water is essential however the same water, when consumed in a wrong way, becomes the reason for most shocking health problems like a migraine, joint pain, weak digestion, skin problems, hair fall lethargy, and even heart and kidney problems. The sad part is that 99% of the people drink the water in the wrong way due to which they are unintentionally harming their body rather than getting benefits from this miraculous drink so if you want to move the right way of drinking the water stay tuned. Water is most important for our body without water we can't use the nutrients that come from carbs proteins and fats because water is so beneficial and essential that it does mean that we can drink water whenever we want to. Gulping a glass of water after and before the meal might be the most satisfying thing for you however this is the worst thing that you can do to your body when we eat a meal our body temperature rises for better digestion but drinking water just after meals instantly dilutes the gastric juices reducing the body's ability to digest food this way the food doesn't get digested properly and rots within the system and when food rots within the system not only fails to absorb the nutrients from it but also it brings along they just have problems like bloating gas acidity etc. This is the reason you see people that I eat mostly healthy food but I am still I am not able to get the desired result I am not able to lose weight even though I am drinking enough water the reason is that you are drinking water before or after the meal. One small hack that I practice is instead of drinking water I rinse my mouth with it. It helps a lot. In today's fast-paced life most people mindlessly drink water. It might seem hard to believe but in reality the way water enters your body can make a huge difference if you drink water to fast anyway your Body wouldn't accept it and would flush most of it out exactly the opposite of what you wanted to happen moreover our stomach is acidic in nature on the other hand saliva in mouth is alkaline in nature and its job is to stabilize the acid in stomach when we gulp a large amount of water at once very less saliva gets mixed with the water so the atmosphere inside the stomach remain acidic this may cause acidity indigestion bloating gas etc gain in weight because stomach feels to absorb the nutrients from the food and remove the unwanted material from the body I daily one should slowly sip the water to start with you can avoid what is with wide mouth or even better we use a glass or sipper. Do you after coming back from office run to the refrigerator grabbing the bottle of chilled water to quench your thrust if yes then better you stop doing that. Drinking chilled water cannot only cause a sore throat but also has serious demerits firstly cold water shrinks the blood vessels seriously restricting the digestion process, chilled water also tends to solidify the fats making it tough for your body to break down the unwanted fats the other major side effect of drinking cold water is joint pains not only this there are many studies proving today that chilled water decrease the heart rate. Ideally one should water at room temperature Lukewarm water is even better although if at all you want to drink cold water then start using earthen pots not only are they natural water cooler but also balance the p of the body removing the impurities. I have come across people who forcefully drink water to of the day even when they are not thirsty just because somebody told them that more water means more benefits of course proper Hydration is important excess of anything is bad and this holds true for water also. Drinking water in excess makes the salt and other electrolytes in our body too diluted and one of the sodium stops is to balance the fluid in and around yourselves. Drinking too much water causes imbalance and the liquid moves from the blood to inside yourselves making them swell and in case of brain cells that seriously bad news. Having yellowish urine and past lips are some of the signals are given by the body that you are dehydrated. Another side effect of fast-paced life is that today people drink water by not just standing but while walking or even at running when we drink water in standing position our kidneys are not able to filter the water properly. Moreover, In this position, your muscle and nervous system are not relaxed and it makes difficult for your nerves to quickly digest the fluid this may disrupt the balance of the fluids in the body leading to greater accumulation of fluid in the joint thus triggering arthritis so it is best to sit down and sip water slowly. So these were some of the common mistakes that people do while drinking water. Let us now see when, how much and in which utensils you should drink water. 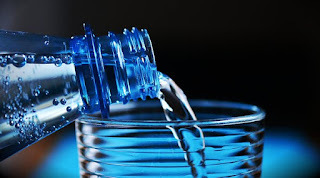 Whenever you feel thirsty drink water however when on time water should never be skipped is just after waking up, we have already discussed how saliva helps in neutralizing the stomach acid and the morning saliva is considered as to be most effective so every morning before brushing your teeth drink water. Water can also be consumed in between the meals and not with meals keep at least a gap of 1 hour before and after the meal. How much water a person needs depends on many factors like individual body type weight, physical activity, and climate. Our body also gets water from various food items like fruits and vegetable so it would be unfair to give one fixed quantity it is best to see how your body responds and drink accordingly. Generally speaking, 2.5 to 3 liters per day is good enough. Which utensils to use to drink water? Water can be consumed from any utensil however if you drink water from a copper vessel benefits get multiplied it is recommended to store water in a night before keep it near you preferably on a wooden surface and have this water first thing in the morning make sure drink from the copper vessel itself and not transfer it into any other metal container. 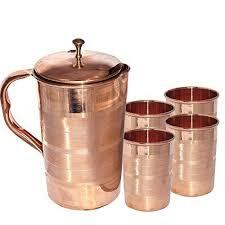 Drinking this copper charged water for just 3 months and you will be amazed to see that what it does to your body. Water is life, it is a panacea for many health problems all we need to do is drink it in the right way. Eating fruits can help you to lose weight. Fruits are low in fats and contain fewer calories and sodium but high nutritional values. They also contain Vitamins, Fibers, Potassium and antioxidants which are very helpful in maintaining our optimal health. Here is the List Of Best Fruits For Weight Loss. Watermelon is basically 90% water. A 100g serving of watermelon contains only 30 calories. It also contains a very important amino acid called Arginine which helps to burn fat in body. Watermelon keeps the body hydrated and we need fewer snacks after having it. 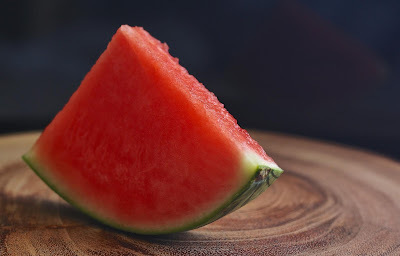 Eating watermelon improves lipid profiles and prevents the fat accumulation in the body. There is a famous saying about apple, "An apple a day keeps a doctor away." Apple is useful in almost every health issue. Apple contains fiber and antioxidants which keeps the person full. Apple can reduce the risk of cancer, heart attack and keeps the immune system strong. 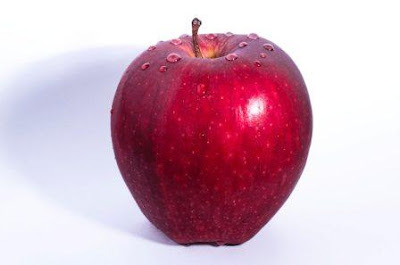 Apples are low in calories and do not contains any fat or sodium in it. It also makes the teeth whiter and treats constipation and diarrhea. If you want to lose weight you will surely have to add it in your diet. 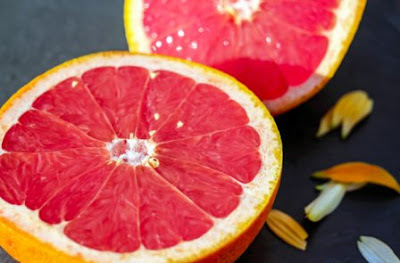 Eating one grapefruit before lunch reduces belly fat and cholesterol levels in the body. It lowers the levels of insulin in the body. Lower insulin helps in weight loss of the body. It kick-starts the metabolism of the body and is considered as fat burning food. It contains fiber which controls the appetite. 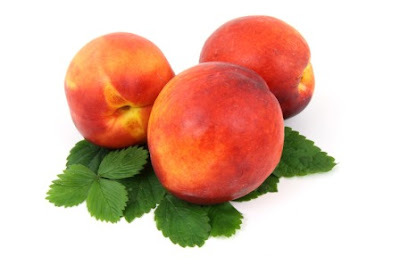 Peach and Plum are the best choices for a low-calorie diet. They contain antioxidants which help in flushing out the harmful toxins from the body. They also contain a low amount of fructose. 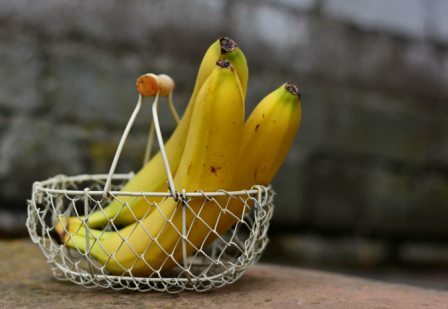 Banana is a good source to get instant energy. It is also the best post workout fruit. It prevents muscle cramps and keeps blood pressure in check. It also prevents acidity and constipation. For weight loss, you can eat a banana or drink a banana shake in between Breakfast and Lunch. 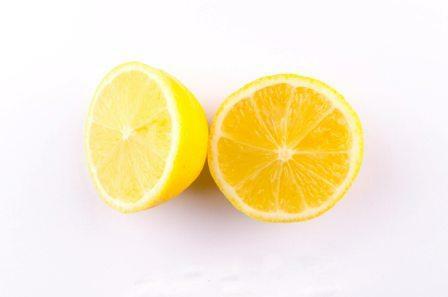 Lemon is the best liver detoxifier. To prevent fat accumulation the body you can drink lemon juice just after waking up. 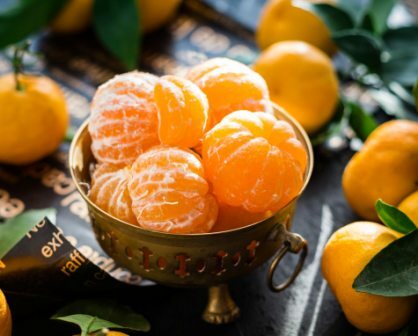 Eating orange decreases the calorie intake in our body but keeps the body fully hydrated. Surprised? Yes, you read it right, Tomato is a fruit, not a vegetable. It is full of antioxidants and reverses the leptin resistance which is a type of protein which prevents losing weight from the body. 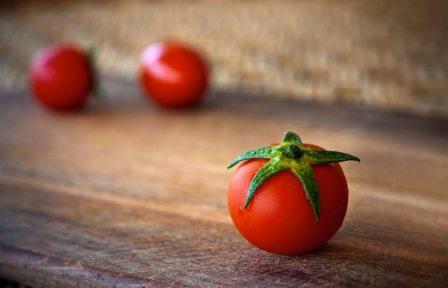 It is packed with Vitamin C and lycopene, which produce an amino acid called carnitine which speeds fat burn. Guava contains a good amount of fiber and helps in losing weight. It is also a perfect choice for diabetic patients because of its low glycemic index. It also maintains bowel movement in the body which helps in weight loss. Pears are incredible fruit to control the appetite. 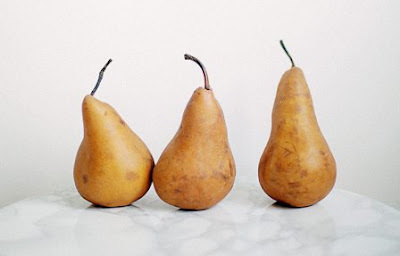 Pears on an average contain 5.5 grams of fiber, they keep our digestive system healthy. Fiber helps our bodies in absorbing the nutrients and vitamins of all the other fruits which are in our on our List of Best Fruits For Weight Loss. These were the best Fruits for weight loss. By adding a few of the fruits from the List of Best Fruits For Weight Loss in your will surely help you to lose weight at a faster pace. If you want more helpful tips regarding health you can follow our blog and subscribe to us so that you can get a notification of our every new helpful post.